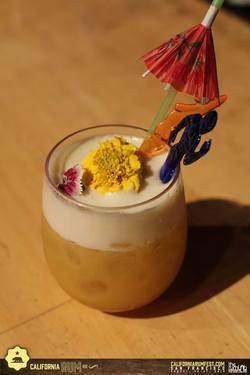 You will definitely see some umbrella drinks at the California Rum Festival. Photo via Facebook. This year’s fourth annual California Rum Fest is coming up on Saturday September 8th, offering the opportunity to sample more than 40 premium rum brand expressions from around the world, as well as access to exclusive seminars featuring some of the rum industry’s top luminaries starting at 12pm. Take a look at the site for the full lineup. Don’t miss the outdoor Tiki Bazaar! The grand tasting is 3:30pm-6:30pm; General Admission Grand Tasting $60; VIP Grand Tasting (starts at 2:30pm), $70. SOMArts Cultural Center, 934 Brannan St. at 8th St.